He spent his career drawing some real characters -- but soon you'll be able to see a portrait of the "Peanuts" creator himself. An image of Charles M. Schulz goes on display at the Smithsonian's National Portrait Gallery (801 F St. N.W.) Friday, Oct. 1. The image is part of the "New Arrivals" exhibit, and coincides with the 60th anniversary of the launch of the comic series featuring Charlie Brown, Snoopy, et al. Schulz died in 2000, but two of his children will attend a private ceremony for the unveiling of the image. Acclaimed portraitist Yousuf Karsh took the photograph of the famed cartoonist in 1986. In the image, Schulz is at his drawing board, pen in hand. Before him is a partially completed "Peanuts" comic featuring the popular storyline in which Lucy snatches the football away from Charlie Brown and sends him hurtling through the air. Peanuts Family Day is this Saturday, Oct. 2 (11:30 a.m.-3 p.m.), when the museum offers programs inspired by Schulz and his characters from Peanuts. 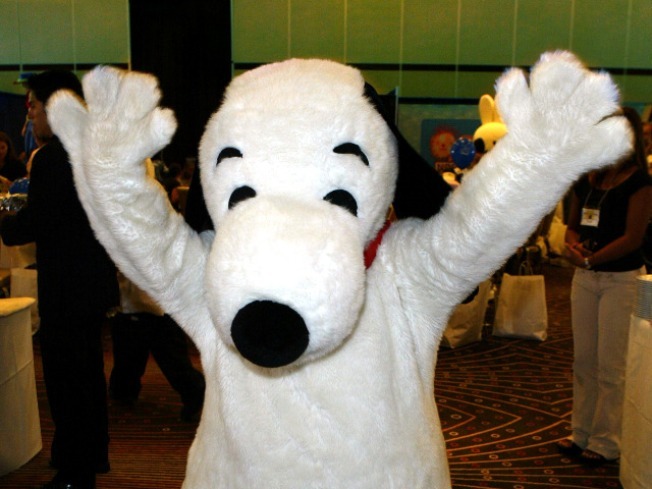 Get your pic take with Snoopy, take a cartooning workshop, or at 1 p.m., catch a showing of "It's the Great Pumpkin, Charlie Brown."